Presidential candidate Mikhail Prokhorov has said that a runoff election would be beneficial for the country and has promised to limit presidential powers if he gets elected. 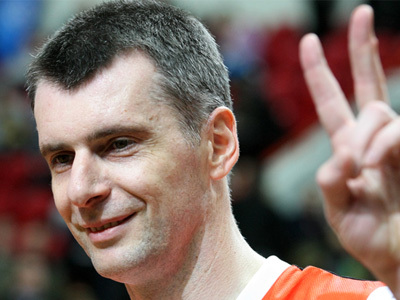 Prokhorov told journalists in Moscow on Wednesday. Prokhorov also said that the balance of power in the Russian Federation had shifted and he intended to restore it by limiting the powers of the head of state. “The president has too much power and the government is merely an affiliate of the Kremlin. A great country cannot work like this. This is not how competition emerges,” Prokhorov said. As for his multi-billion-dollar business, Prokhorov has said that if elected, he would transfer it all to his junior partners. The candidate also told reporters that if he loses, he will set about establishing his own political party. 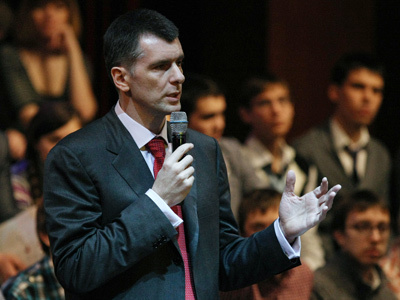 Prokhorov headed the pro-business party Right Cause from May till September last year but was ousted at the party’s very first convention by veterans who accused him of having an authoritarian style and of attracting controversial figures to party projects. The only independent candidate in the 2012 presidential elections says he will launch a civil project to monitor the presidential elections and has invited everyone, including those who have no political preferences, to take part in it. 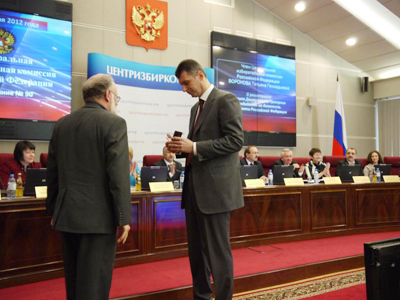 Prokhorov also said that he had reached an agreement with the recently founded Voters’ League to create a joint base of 150,000 monitors to check election protocol. He added that he intends to meet representatives of the OSCE and PACE next week and discuss monitoring of the March poll. Prokhorov told reporters that he will definitely be at the protest rally “For Fair Elections” on Saturday, but will not make any speeches. “I see no problem here. 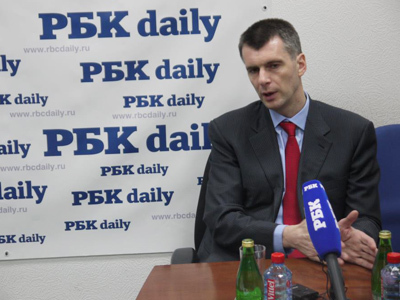 Nothing divides our peoples, there are only ties,” Prokhorov declared.